This summer I focused on my decision making and scoring ability. So everyday in the gym I did drills with a lot of reads and got a lot of reps in so when game time came I was well prepared and as efficient as possible. 3. Your Team Durant 16U AAU team won the 16U nationals this past summer what was it like to win an AAU Championship for you, your teammates and as the oldest age group representing the Durant Org? As an organization we were very pleased with our performance over the course of that week and were happy that we ended the summer on a high note. Since we’re the oldest age group in the organization we felt good about finishing the 16U season off with a championship, setting a good example for the younger age groups to follow, and we are looking forward to having an amazing season in 2019 in the 17U division. 4. What role do your predict you will play on this years St. Andrews team - will you be playing more of a traditional point guard role or a combo scoring guard role? This year at St. Andrews, I’ll play both the traditional point guard position as well as a scoring off guard on the offensive end and defensively I’ll be taking on the challenge of guarding the opposing teams best player. 5. What schools have offered you or have shown interest in you? I currently hold offers from Stony Brook, Columbia University, and Robert Morris. 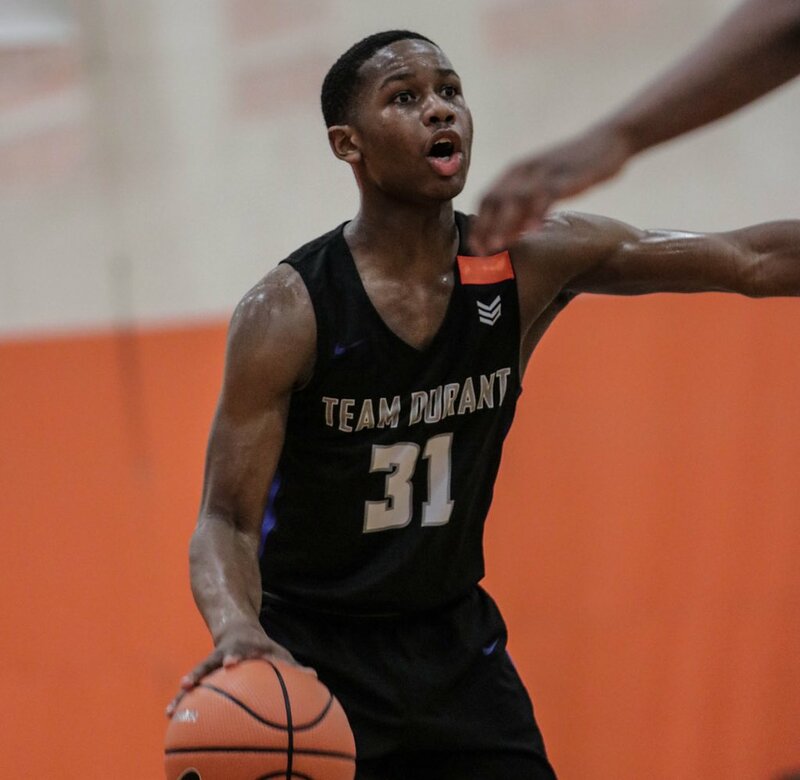 Harvard, George Mason, Delaware, Yale, Rice, Princeton, Brown, University of Pennsylvania, Lehigh, Holy Cross, Longwood and more are all currently showing interest. 6. Kevin Durant is both an NBA champion & finals MVP who is from the DC area how does his professional accomplishments influence your outlook on the game of basketball? Kevin Durant’s accomplishments have a major influence on my outlook on the game on and off the court. It’s an honor to play on his AAU team and wear his name across my chest. When we step in between those lines we represent the DMV and the Team Durant brand. I take pride in being from the DMV, PG county area and representing the area when we travel and play teams from other states since this area is arguably the new mecca of basketball. Off the court Kevin Durant uses his position in the game of basketball to give back to the community and take care of others and someday I hope to be able to do the same thing. 7. Last year was your first year playing for St. Andrews in the MAC after beginning your high school career in PG county how would you compare the competition within both the private school & public school conferences? Both the private school and public school conference's have tremendous talent and night in and night out you have to be aware that you cannot take any opponent lightly. 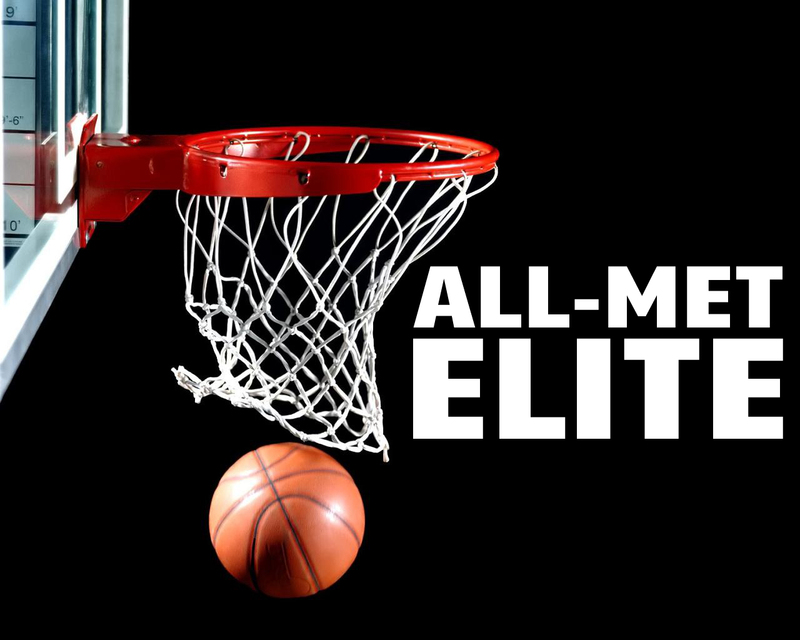 I would say public school is more offensive minded and similar to AAU basketball whereas private school basketball is played more under control and with a slower pace since scouting reports are more detailed and teams key in on different sets and schemes. 8. What feedback are your receiving from college coaches and your high school coaches as to what they would like to see you improve upon on the court? My high school coaches want me to continue to improve my decision making , leadership skills, and be more vocal on the offensive end. I’m receiving a lot of positive feedback from college coaches. They’re telling me continue to be a pest on the defensive side of the ball and take pride on that end of the floor. Offensively, coaches are impressed by my shot making and scoring ability as well as my high IQ for the game. Going forward college coaches want me to get more comfortable playing the lead guard position and continue working on all aspects of my game.